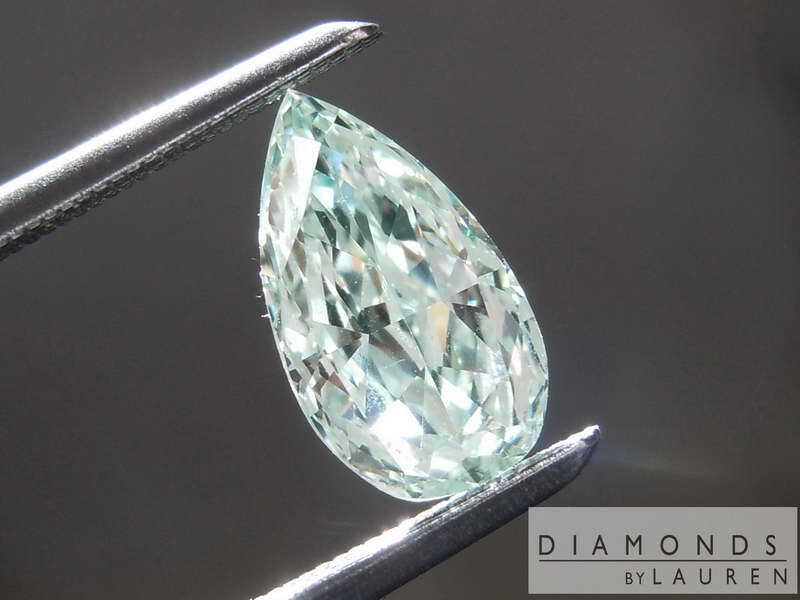 ere's a super interesting diamond. I'll put it on the site mainly for informational purposes. We'll have it here for a few days - during which time it will be available for purchase. 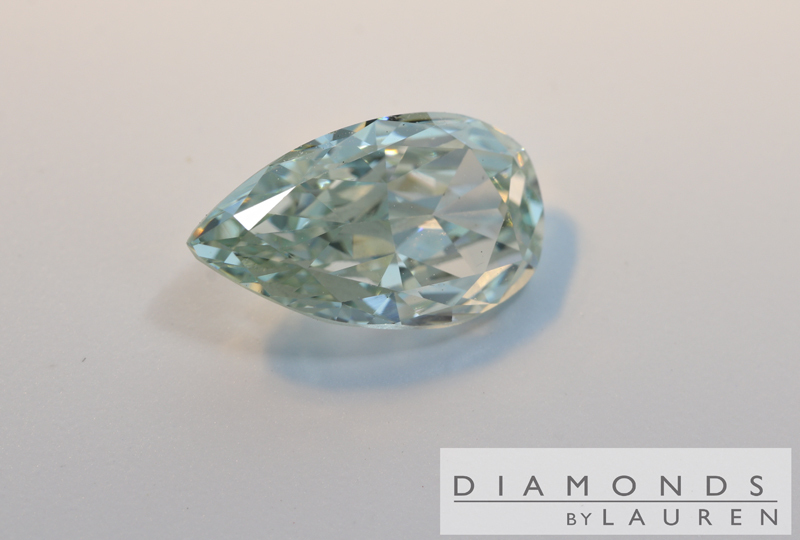 Different colors in diamonds are caused by different chemical, and or environmental factors. Yellow diamonds have more nitrogen. Blue is caused by Boron. Brown was because God loves Chocolate. Kidding. 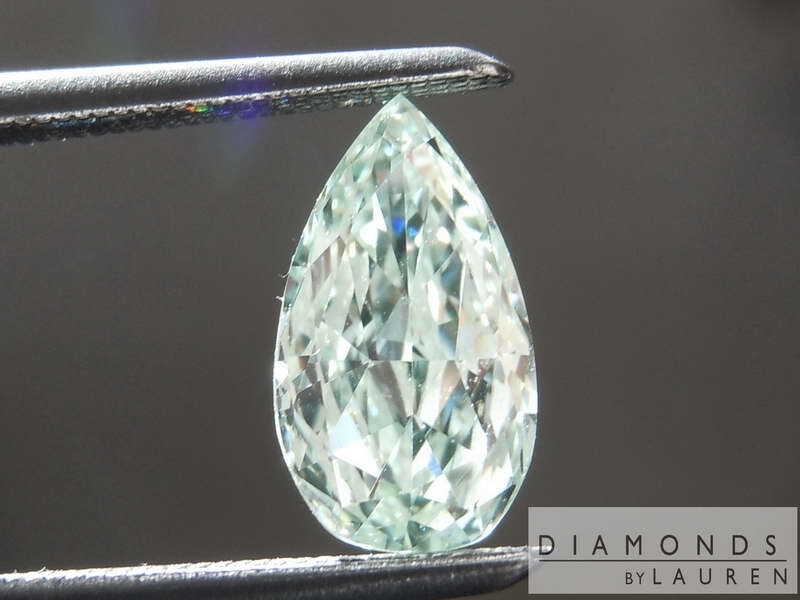 In the case of natural green diamonds, the cause is natural radiation within the earth, which affected the mineral over the eons. As opposed to other colors, it's very difficult for GIA to assess the cause of the radiation. These days most cutters submit the rough diamond, prior to cutting - at which point detecting the cause of radiation is straightforward. 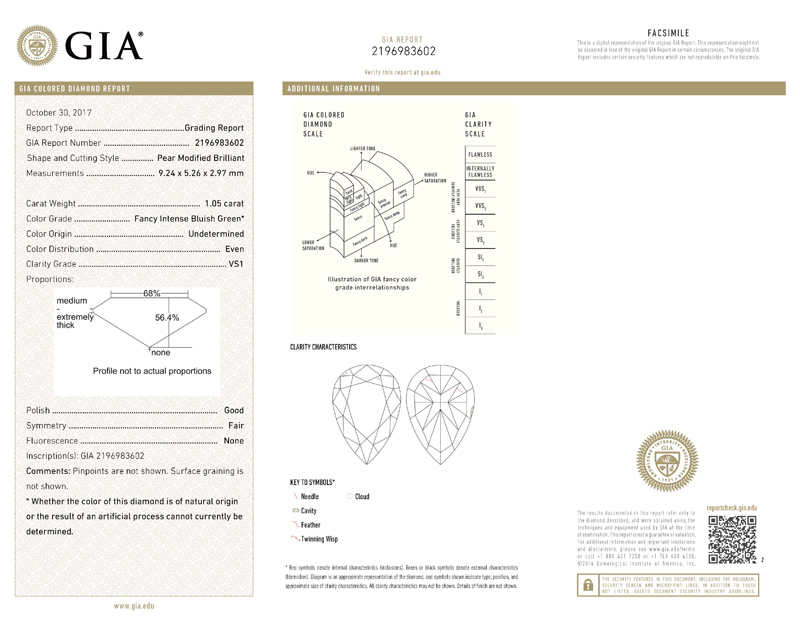 If GIA cannot determine the origin, the diamond gets the dreaded 'Undetermined" stamp. 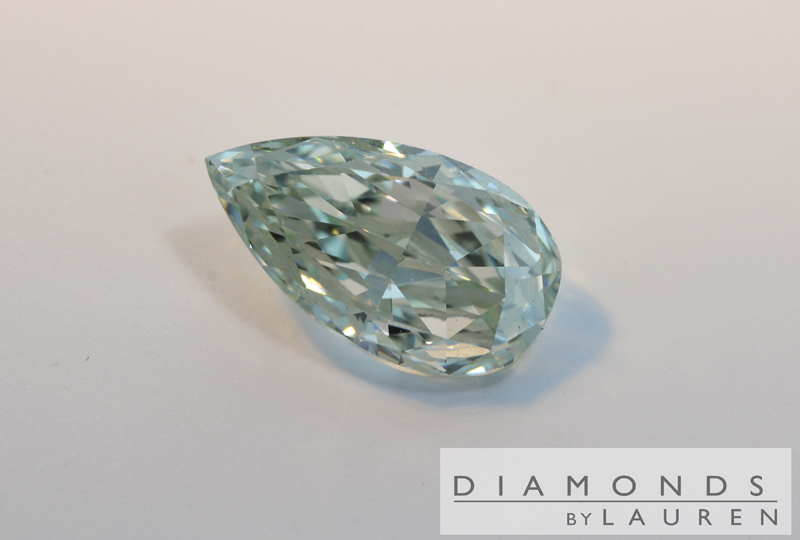 As did this incredibly beautiful diamond. The color looks perfectly natural to me - and it's stunning. Blueish green. I love the cut. 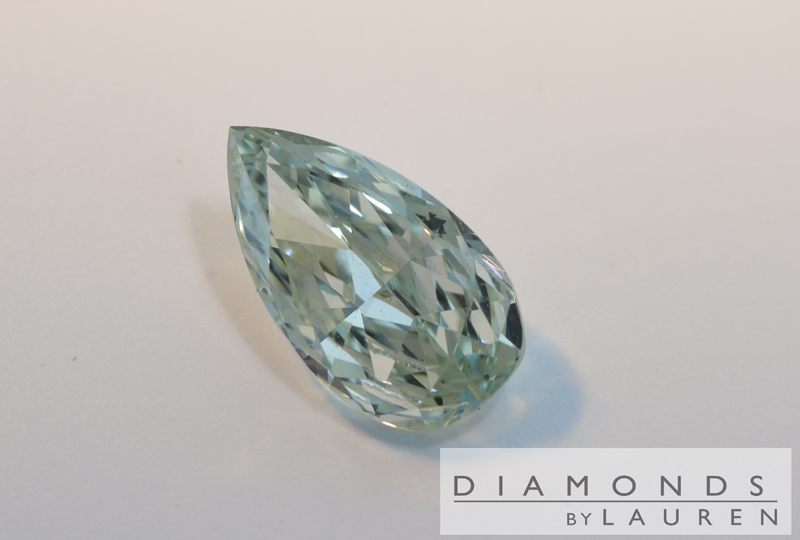 The unusual facet pattern produces a lot of larger reflections. Very cool. VS1 in clarity. 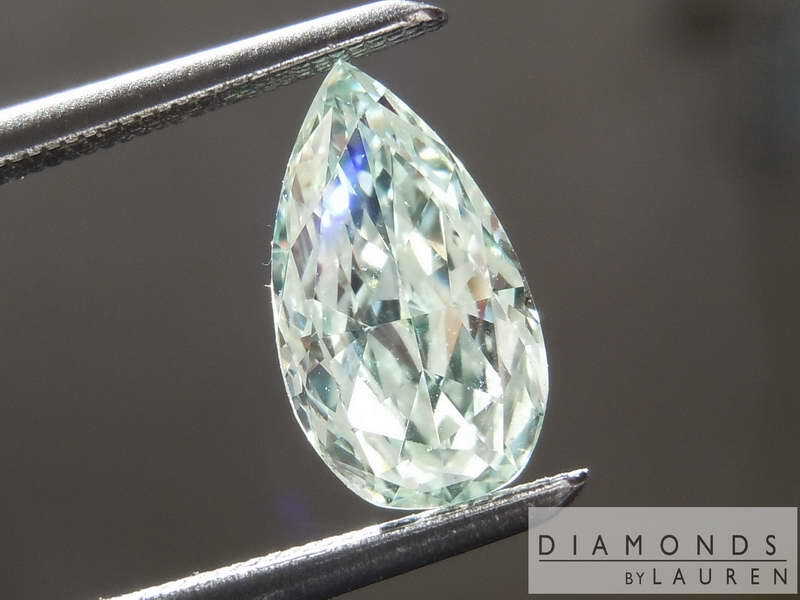 So the point, I guess, is that if GIA had given the stone Natural (as opposed to undetermined) it would be almost 10 times the price. Interesting stone nonetheless.